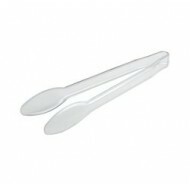 Pack of 4 Clear plastic spoon tongs. .. 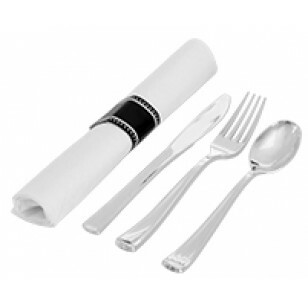 Pack includes 1 napkin, fork, spoon and knife. 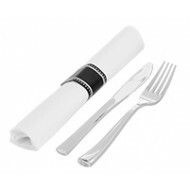 High quality aluminium coated plastic cutlery. 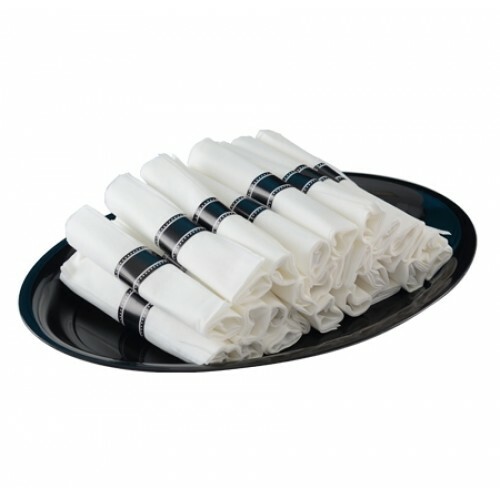 A close resemblance to real silverware in its perfect size, proportions and finish!